Personalise this Children's Tool Pouch Gardening Kit in pink with any name up to 12 characters. Suitable for children from 3+ years. Includes a handy pouch with gloves, a trowel and a fork. 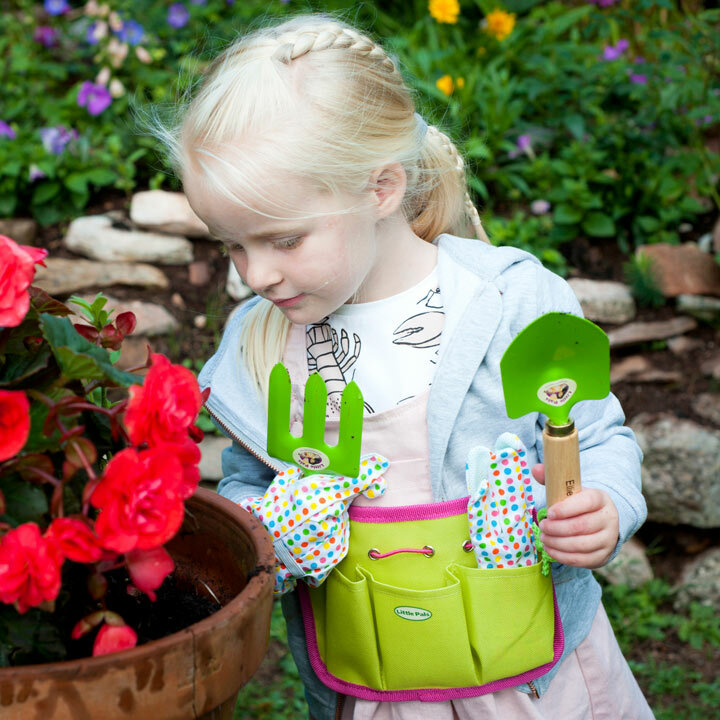 Perfect to inspire any child to have fun in the garden. A great gift for children perhaps a birthday present! The measurements are as follows: Fork including handle 18.5cm, Trowel including handle 19cm, Gloves longest point 19cm, Pouch is 21cm wide by 15cm high, Strap length approximately 74cm. Height 15.5cm, width 21.5cm, depth 3cm, weight 420g.